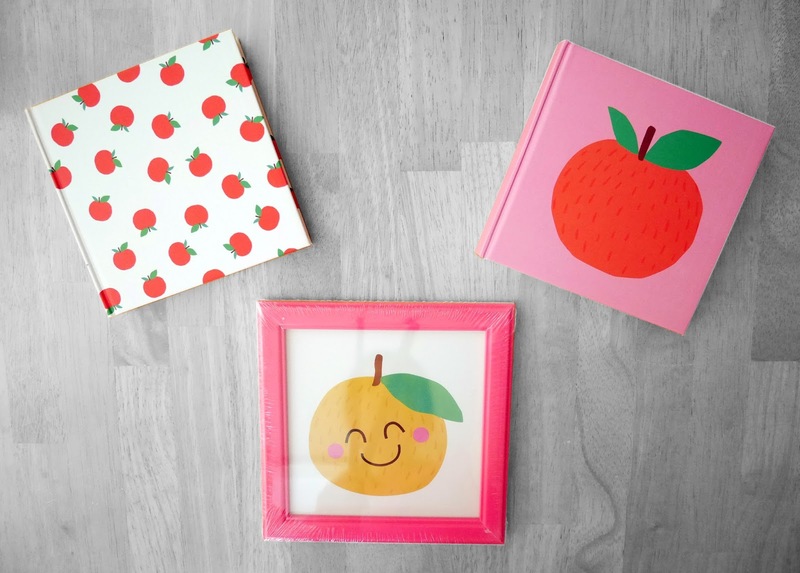 I absolutely adore fruit prints, to the point where I'd quite happily go out in a cherry covered dress or buy a handbag covered in strawberries. At the weekend in Cambridge, I popped into Tiger at the Grand Arcade and I was so excited! The whole shop was full of fruit-themed things! If you haven't ever been to Tiger, everything in there is crazily cheap. I'm talking £1 - £2 cheap, so if you ever fancy a shopping spree without spending too much money, this is the place for it. I picked up a few cute bits in there, so I thought I'd share them as a mini haul on my blog today. 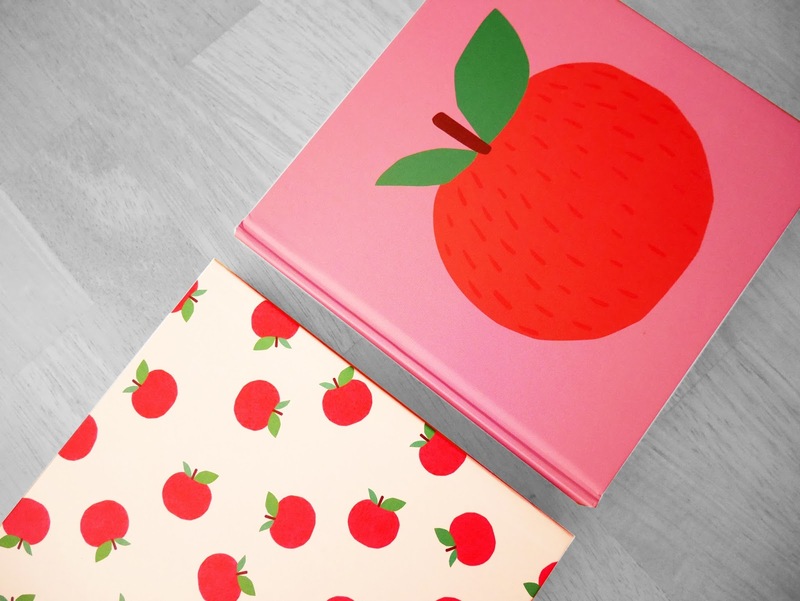 The first things I picked up were a couple of apple-themed square notebooks. They're hardback notebooks with blank pages inside, so perfect for doodles or sketching! I can't wait to fill these up with lots of Disney drawings. I also bought a framed print for my new university room, that features a smiley orange. When I'm at uni, I like to make my room homely and fill it with lots of pretty frames and quotes, so I thought this would be a lovely addition to my room in September. This was only £2 as well! Last but not least, when we were at the checkouts, I picked up one of their £2 massive strawberry recyclable shopping bags. I used it to carry all of my Cambridge shopping on Saturday and it held the weight well, so it's obviously good quality! It zips too, so it'll be perfect for rainy days. 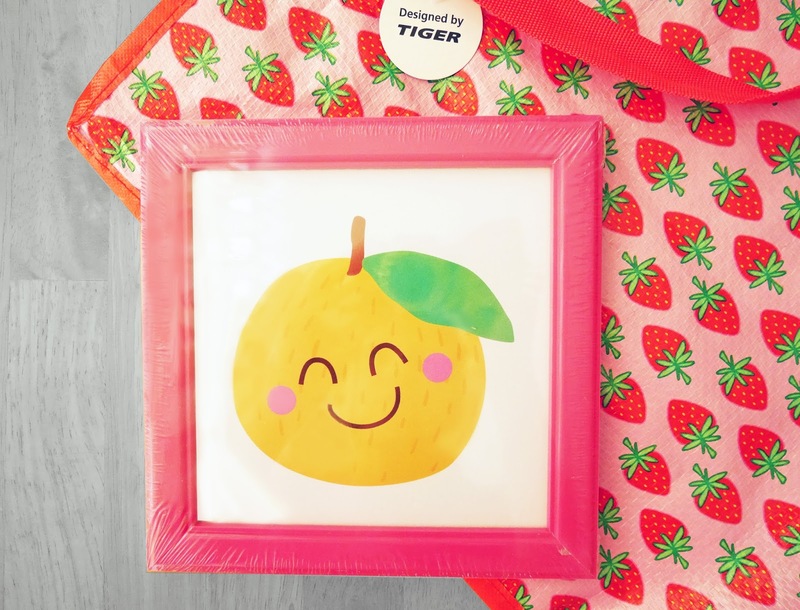 I'm thrilled with my purchases, Tiger is the perfect for store for those who like bright colours and fun prints! Do you like shopping at Tiger?